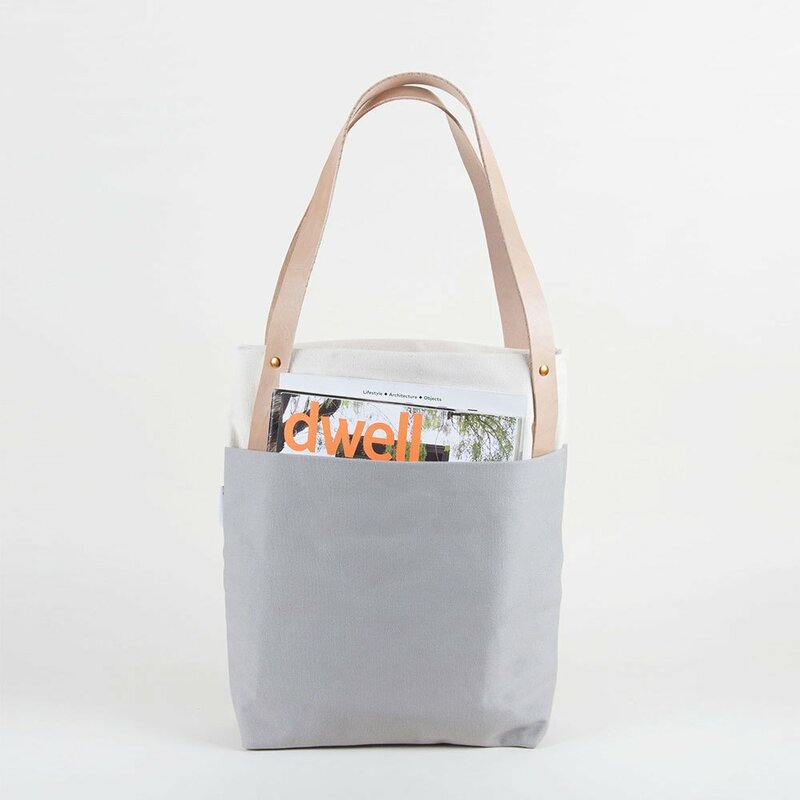 Tote your stuff around town in style with the Tokyo Tote. An essential item in your accessories collection, this minimalist tote bag complements its simple elegance with a rugged construction. This bucket style bag features an open interior compartment as well as exterior pockets lining both sides. Offering generous space for essentials and other items, the tote bag can also hold a 15’’ Macbook. The heavyweight 18oz water resistant duck canvas stands up to the rain to keep items dry, while the vegetable tanned leather straps will only improve with age. Crafted in Yield’s studio in Saint Augustine, FL, the Tokyo Tote also features US-made materials.